Smartphones have become an important part of our lives in the post-PC era. There is an Android app for almost everything that we do. There are apps for what were once the simple things to do, to a mind-numbing array of apps that offer more features than you could ever use. 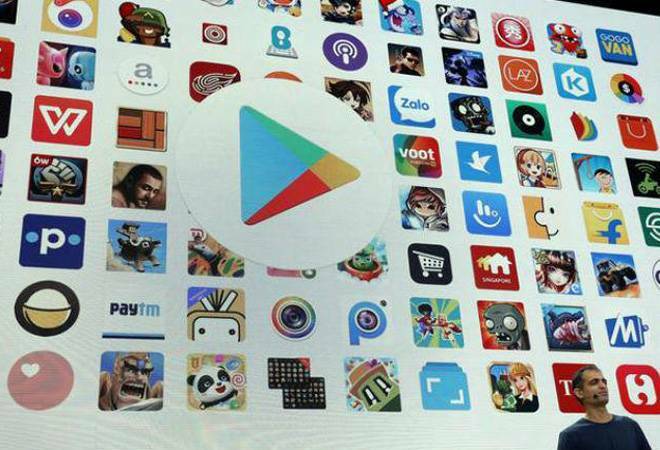 As the year 2018 comes to an end, let's look at some of the most popular Android apps of 2018 in India. Google Drive is a file storage and synchronisation service developed by Google. Launched on April 24, 2012, Google Drive has now become a default file storage application for most users in India due to its integration with the Google ecosystem. Drive allows users to share their work easily, download, and collaborate - no email attachment needed. With a Google account, you get 15 GB of storage for free. Storage gets used by Google Drive, Gmail, and Google Photos, so you can store files, save your email attachments, and back up photos and videos. For more than 15 GB, you can upgrade to Google One. Evernote is a close second on the list of top productivity apps. There are no surprises here. The most-downloaded app in India during the year 2018 is Facebook. Even in 2017, Facebook was the most downloaded app in India. WhatsApp, owned by Facebook, is the top social messaging app of 2018. Despite being the default app on most mobile phone in India, Google Chrome isn't the top browsing app in 2018. The honour of being the king of all the browsers goes to UC Browser. Developed by the Chinese mobile Internet Company UCWeb, which is owned by the Alibaba Group, UC Browser was the most downloaded app in the first half of 2018. However, one of the best browsers of 2018 was Brave Browser as it came packed with variety of features like 'blocking of third party cookies' and scripts and HTTPS everywhere. PlayerUnknown's Battlegrounds (PUBG) is one of the most popular games on mobile in India. PUGB is available on mobile, desktop, and gaming consoles like Xbox and PS4. In the recent survey shared by Quartz in partnership with Jana, over 61.9 per cent respondents selected PUBG, followed by Free Fire and Fortnite with 21.7 per cent and 8.5 per cent, respectively. Gaana is still India's most preferred music streaming app. Following closely behind is JioSaavn. Other popular audio streaming sites in India are Wynk Music and Amazon Prime Music. As far as video streaming app is concerned, Hotstar is way ahead of the competition. It brings all of the channels owned by Star, such as HBO, Star Plus, Star World, Star Utsav and so many more. Google Snapseed is undeniably one of the best editing apps for pictures. There are many pre-existing filters, and the app also allows you to make adjustments in terms of exposure, color, and contrast. Modifications can also be made in photos to remove undesirable objects.